(top gun in photo) – Remington model 6 .22 caliber in excellent condition. Has tang sight and deluxe wood. Bright, original case colors $450. 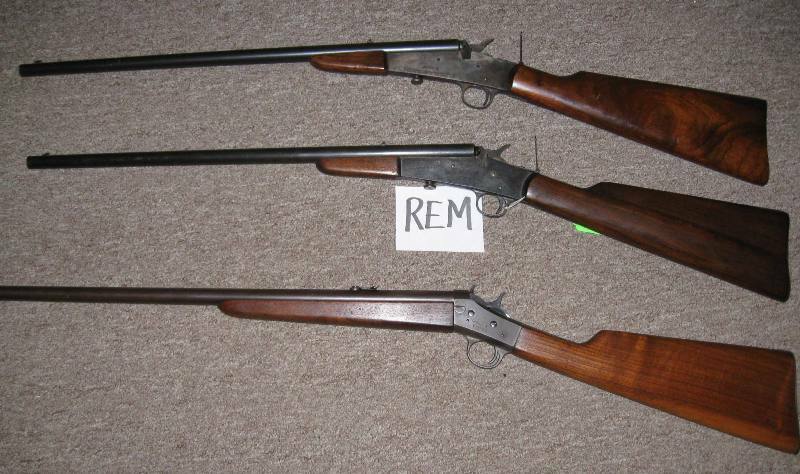 Rare in this condition (center gun in photo) – Remington model 6 in excellent condition. Tang sight and excellent wood $300. 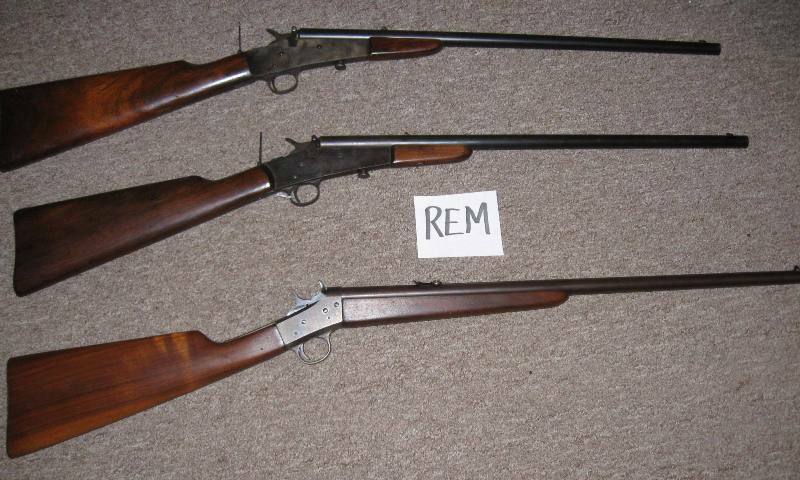 (bottom gun in photo) – Remington rolling block model 4 .22 caliber in excellent condition. Bright original case colors $495. Take all 3 for $1,100 Delivered.